Steve Faulkner’s monthly magic nights at the Greystones, Sheffield, continue to go from strength to strength. On Monday and Tuesday 28 and 29 November you can see a great triple bill featuring comedy magician Noel Britten, gentleman juggler Mat Ricardo and the multiple award-winning Peter Wardell. Tickets are available from www.stevesmagicshow.com. Don’t shoot off to buy tickets just yet though, we’ve got more great news for you. On the Sunday night before the show nights, through the good offices of Steve Faulkner, the Lounge is hosting a lecture by Peter Wardell. 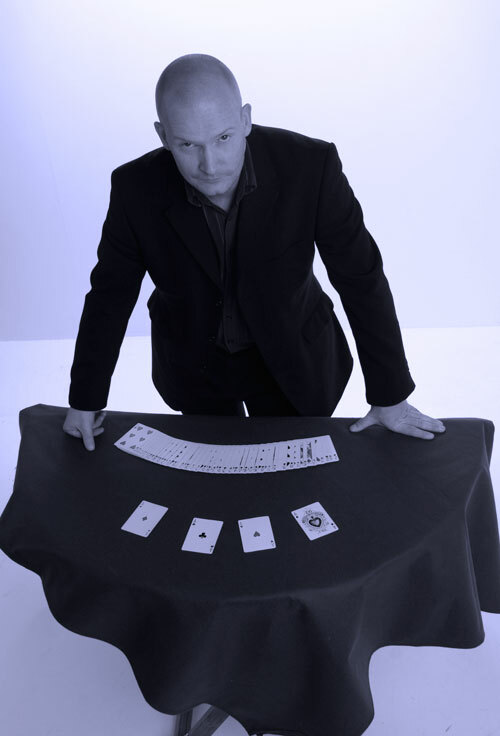 Peter is the Magic Circle Stage Magician of the Year 2010 and Close-up Magician of the Year 2009. He is the only magician ever to achieve both titles. And 2001 he became International Close-up Magician of the Year. So he knows his stuff. Peter’s lecture will cover a range of material suitable for close-up and cabaret magic performance. It’s sure to be an entertaning and informative evening that you’d be mad to miss. The lecture is on Sunday the 27th of November here at The Magick Lounge, 82 Broad Street, Sheffield, S2 5TG. It starts at 7:30 p.m. It’s a Sheffield Circle of Magicians event, extra to the syllabus, so is free to SCM Members and £10 to visiting magicians. Thanks Russell. Looking forward both the lecture and the shows. I really appreciate your continued support.